02/20/2014 Via Instagram “Was able to pack up & finally be discharged from the hospital last night. Was very hard to get online. From the time I got surgery I had to go through the steps of fighting the pain. I needed meds around the clock. The next day I found out that i had so much inflammation&scar tissue surrounding my kidney transplant that they had to cut into my #peritoneummembrane which helped me dialyse this past year gently without much changes. So the next day they needed to insert a #permacath in my chest for another method of treatment. Next physical therapy to help me take my first steps and eventually graduated from eating fluids to solids. While continuing the infusions for the very infection that has caused all this. Its what every surgery had been like & I’ve have had many. But one thing God has continued to show me is that this fight is worth fighting for. I have had 2 straight stable years that i didn’t have to mention no sickness of any sort. I truly believe more will come. I will never lose faith God has brought me through so much. I still have a lil more fight to go & some new adjustments but life will go on. Thank you for all the prayers. The church family that came&prayed with us, those that were able to visit, call (even if i couldn’t answer), helped with our kids, & sent all those encouraging healing messages. We are truly grateful for such a strong support system. 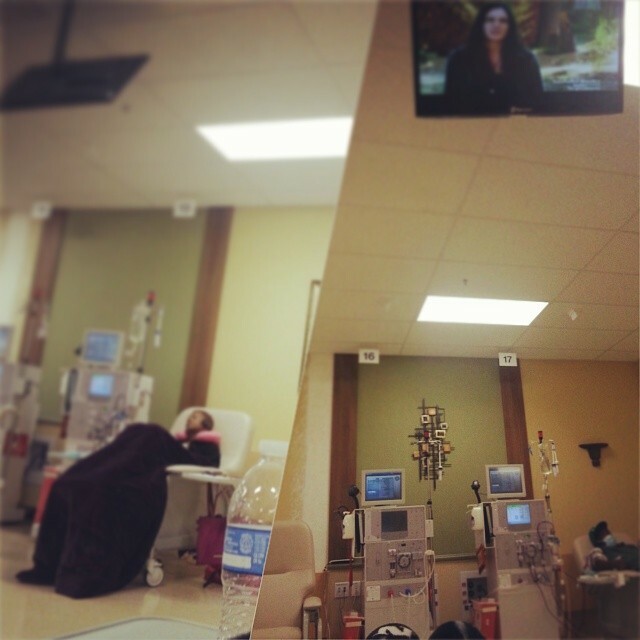 03/10/2014 Via Instagram “So thankful for another visit today. I feel tremendously blessed with all that God puts in my path. Being able to work tells my disabilty that I’m more than able. Thank u guys for being another extension of support in my life. Really enjoyed seeing your faces today. Thank u for all the goodies too! That would be an awesome button. Thank you for the love and positivity!